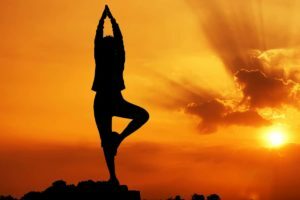 10 Best Yoga Poses for Living a Healthy Lifestyle – Best of India! We all are running a race! Isn’t it? In this race for money, fame, luxuries and pleasure, knowingly or unknowingly we have opted for a sedentary lifestyle which has adversely affected the body posture and mental wellness. Though one may take supplements to look better and brag massive gains but everything beyond normal limits have a negative side too. It is when the practice of Yoga comes to your rescue for living a healthy lifestyle! The art of yoga is being practised in India from ancient times. This is evident from the fact that many holy texts and scriptures have a reference about the good effects of yoga and need to practise it in day-to-day life. There are more than 30 common poses and asanas in modern day yoga and each pose has its own benefits. Gradually, people, these days have realised the positive effects of practising yoga and many people from across the globe have started implementing it in their daily schedule. With awareness campaigns and promotions at its peak, more people are visiting the ancient Indian towns like Haridwar, Rishikesh etc. for learning yoga. And you know what, the best thing about yoga is its way too simple and you don’t have to go to the gym and pick heavyweights to see the positive effects! So for all the people out there who are looking for the best yoga poses, today we have curated a list of 10 Best Yoga Poses for Living a Healthy Lifestyle which is simple and easy to perform. Note: For seeing the better results, practice these yoga poses before having your breakfast! The first yoga practice on our list is Surya Namaskar (Sun Salutations). Surya Namaskar is one of the basic and the most essential yoga practice. It involves a sequence of postures that are made to salute the sun. Usually practised during the sunrise, it is a great way to warm up your body and synchronize the body movement with the flow of breath. There are many versions of Surya Namaskar and one can choose the variations as per his/her own choice. Benefit of Surya Namaskar (Sun Salutations): It activates all the 7 major chakras. The rhythmic moment helps to channelise the energy and create a sense of inner calm in the body. The variations help to remove the stiffness in the body and prepares the body for a new start. Commonly known as Chair Pose, Utkatasana involves sitting in the chair position. Utkatasana has many other names like Fierce Pose, Awkward Pose, Thunderbolt. It is one of the most essential yoga poses for living a healthy lifestyle. It has all the great benefits and is a good thing to be included in the morning practice. Benefit of Utkatasana(Chair Pose): It helps to generate heat in the body and build energy rapidly. Not only it activates the core of the body and the legs but prepares the body for upcoming challenges. It increases the mental endurance by challenging the mind to stay present and positive at all the tough times. The third yoga pose on our list of 10 Best Yoga Poses for Living a Healthy Lifestyle inis Parivrtta Utkatasana or Revolved Chair Pose. If you’re going to the extent of taking all the trouble of sitting down in your not-so-comfortable Chair pose, I hope you won’t mind sitting in its reversed variation! Benefits: Parivrtta Utkatasana is an example of twisting poses. It has a squeezing and releasing effect on your digestive system and internal organs that helps to promote detoxification. The fourth yoga pose on our list is Adho Mukha Svanasana or Downward Facing Dog. It is one of the most necessary poses to be practised in the morning. This beautiful stretch position through the back of the legs and hips help to remove the rigidity from the body. Benefits of Adho Mukha Svanasana (Downward Facing Dog): If you have only limited time in the morning, then this is the mandatory pose to be practised in the morning. This yoga pose helps to wake up every part of the body and strengthens the lower body. Anjaneyasana or Low Lunge is the next yoga pose on our list of 10 Best Yoga Poses for Living a Healthy Lifestyle. It is more like a bubble bath for the hip flexors. You can also opt for a better variation of the same where you can interlace the fingers behind the lower back and gently drawing the hands away to open the chest and heart space. Benefits of Anjaneyasana (Low Lunge): This yoga pose helps to get that free and flexible open stretch feeling. It helps to free the hips, arms and torso and also improves the strength in the legs. Natarajanasana or Dancer pose is considered to be one of the most graceful yoga poses. Hold this position for a few seconds and you’ll feel different- light and comfortable! This pose or yoga asana is a must have on the list for living a healthy lifestyle. Not only it improves the flexibility of the body but most people also like this pose for the graceful display it ensures when perfectly mastered! Benefits of Natarajasana(Dancer Pose): There are many benefits of Natarajasana(Dancer Pose). Firstly, it’s a good warm-up practice before starting the dancing routine. Secondly, it creates a reserve of beautiful energy in the body and maintains equilibrium in both the body and the mind. Virabhadrasana III or Warrior 3 pose also manages to get a spot on our list of 10 Best Yoga Poses for Living a Healthy Lifestyle. It is an important balance and strength building yoga posture. It helps to develop the inner strength. Hold the position for 30 seconds and you can’t feel any better! Benefits of Virabhadrasana III (Warrior 3): This pose helps to activate the legs and core region together. It powers up the Manipura, the solar plexus chakra in the body that helps to encourage and churn the feeling of confidence, determination and willpower in the body. Trikonasana or Triangle pose is the next yoga pose on our list. It is an example of the classical yoga asanas. It helps to make the body stable and activates the balancing of the root chakra, Muladhara. It strengthens the abs and the muscles near the abdomen region. 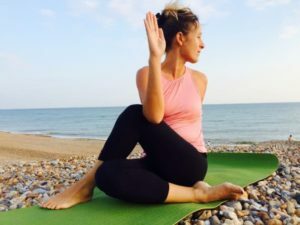 Benefits of Trikonasana(Triangle Pose): Trikonasana helps to develop a sense of grounding in the body and activates the root chakra or Muladhara. It strengthens the leg muscles and core. The cyclic twist helps the body to open up and feel light. The next pose on our list is Prasarita Padottanasana (Wide Leg Forward Fold). As the name suggests, it involves making a wide-legged forward fold position. There are 3 common variations of Prasarita Padottanasana and you can choose the one that works well for your body. Benefits of Prasarita Padottanasana (Wide Leg Forward Fold): It helps in the lengthening of the spine, do the stretching activity for the hamstrings and instils a sense of calmness in the body. The last yoga pose on our list of 10 Best Yoga Poses for Living a Healthy Lifestyleis Ardha Matsyendrasana or Half Lord of the Fishes Pose. It is just another classical yoga asana. Like other twisting poses, this asana is also aimed at maintaining a healthy spine. Benefits of Ardha Matsyendrasana (Half Lord of the Fishes Pose): This yoga asana promotes a healthy spine. 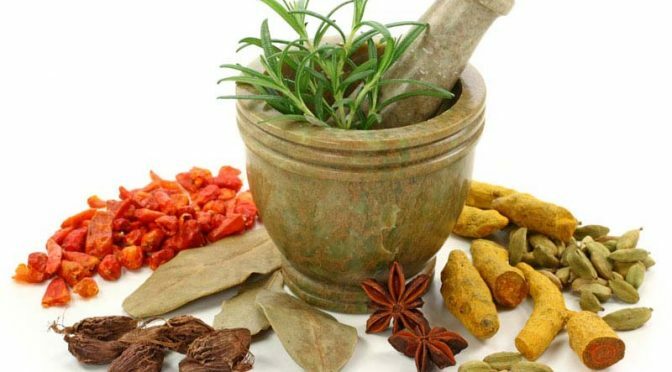 It helps to maintain the proper functioning of the internal organs that is aimed at ensuring healthy digestion and promoting detoxification. Note: As you might have noticed, in the above list of 10 Best Yoga Poses for Living a Healthy Lifestyle, we haven’t included many classical floor postures. The list comprises of only those postures which are simple to adapt and suits your modern day lifestyle. We hope this list will works for you and provides you with all the desired information. Do notify us of all the positive changes you witnessed in the comments section! That’s all from this story. Stay connected to know more!